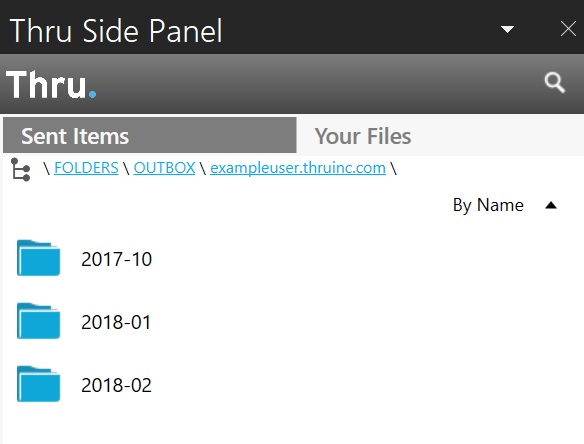 Whenever you send file attachments via the Thru Add-In for Outlook, the file attachments are automatically stored in your Outbox folder and are organized by the date they were sent. 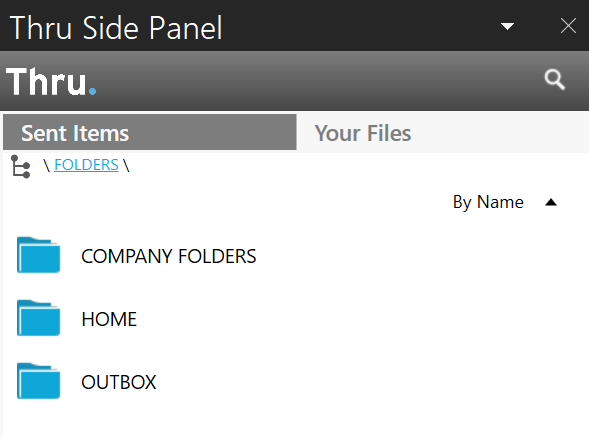 Your Outbox folder can be located directly from the side panel of the Outlook Add-In. After you have the side panel opened in Outlook, locate the Outbox folder. 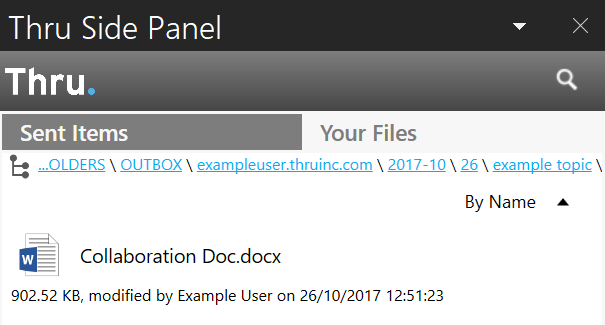 This folder contains all file attachments you have sent with the Thru Add-In for Outlook and are each automatically organized by the date they were sent. Once you know what day an email was sent with Thru, you can select the month and access that day’s folder. The “day” folder will contain folders with the email subject for every email that was sent out. When you have located the sent attachments, you can right-click any file and click Open or Save As to download a copy of the file and view its contents. You can also access your Outbox folder from Thru Web, Thru Explorer, and Thru mobile apps to locate your files you have sent with the Thru Add-In for Outlook.